CHROMATONE (AKA LAWRENCE EZRA HOFFMAN) IS A SAN FRANCISCO BAY AREA NATIVE WHO HAS BEEN PRODUCING ELECTRONIC MUSIC FOR THE PAST DECADE. 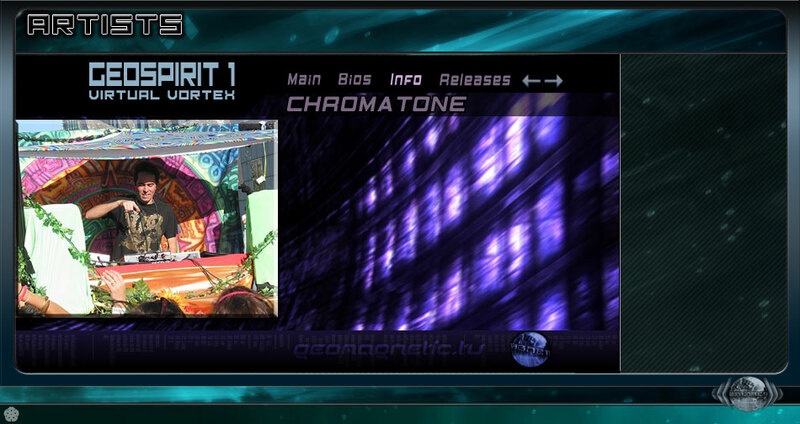 AS ONE OF THE TOP PSYTRANCE PRODUCERS FROM THE U.S. CHROMATONE IS TEARING UP DANCE FLOORS, COLLABORATING WITH MANY OTHER TOP ARTISTS AND PUSHING THE SONIC ENVELOPE. HE IS THE MASTERING ENGINEER AT GEOMAGNETIC AND A CO-FOUNDER OF VAPORVENT RECORDS.